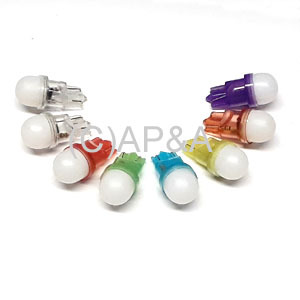 Dome lens LEDs in a variety of colors. #555 style with wedge (push-in) base. Frosted lens. 6-volt AC or DC.